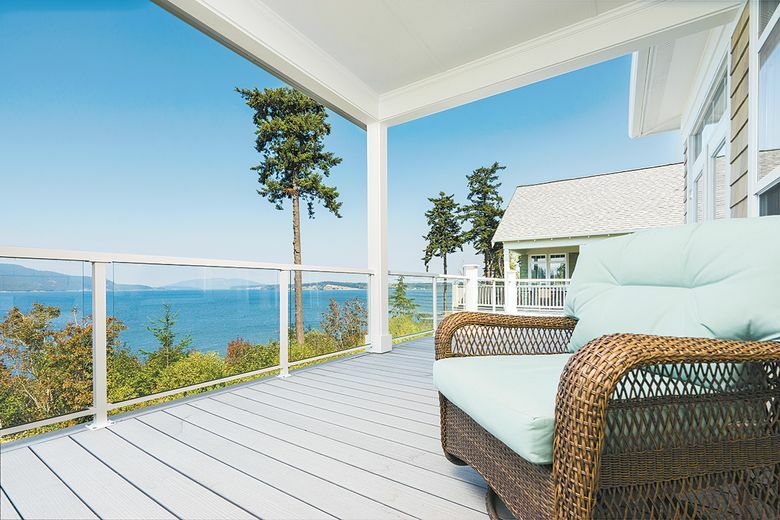 The Westcott Bay home design features wraparound decks on both floors that afford views of the Guemes Channel and the islands beyond. The three-bedroom, 3,118-square-foot home is being constructed on a gently sloping 14,000-square-foot lot perched above the Guemes Channel Trail. ANACORTES — Many boaters familiar with small harbors and anchorage spots in and around the San Juan Islands would rate Westcott Bay among their favorites. A shallow bay with abundant crab and oysters, Westcott Bay is situated near Roche Harbor on the northwest corner of San Juan Island. A three-bedroom, 3.5-bath home featuring the 3,118-square-foot Westcott Bay floor plan is being constructed on a gently sloping 14,000-square-foot lot perched above the Guemes Channel Trail. The home features wraparound decks on both floors to maximize the views and exposure to its parklike setting. “These spacious verandas include both covered and open spaces fitted with custom columns and railings,” Davidson says. 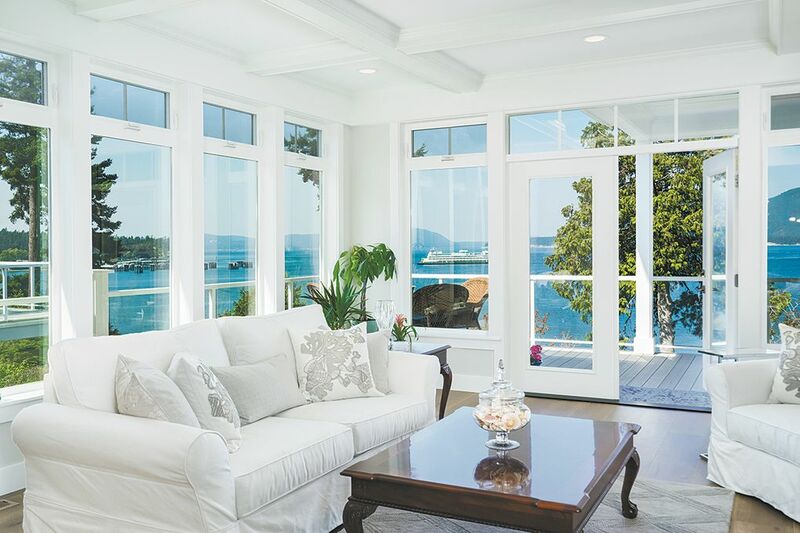 The first floor — including the kitchen, dining room and living room — features 9-foot ceilings and is open to the water views. Just off the main living area is a master suite with gas fireplace, walk-in closet and deck access. And off the dining room is an alcove with privacy doors and another deck access. A two-car garage is located a few steps from the kitchen and laundry room. The lower level of the home is also designed to showcase the views. It includes two additional guest bedrooms with full baths, and a bonus room that opens to a covered patio overlooking the park and shoreline below. A media or hobby room and storage area complete the lower level. Living areas offer 9-foot ceilings and a wide-open feel. Like all homes at San Juan Passage, the Westcott Bay is finished with granite surfaces, hardwood floors, natural shingle siding and assorted detail work. And early buyers can select the colors and make other personalization choices. The San Juan Passage community is in its final phase of building, and seven homes remain available for purchase. “The remaining lots all have exquisite views and a new floor plan — the Deer Harbor — was recently developed and will soon be rising to share a place in this storied waterfront community,” Davidson says. Environmentally sound development practices are evident throughout the community, according to Russ Lindquist, development director for Gilbane Development, which is building San Juan Passage. Lindquist says that homes such as the Westcott Bay, which are located at the northern perimeter of the property, are unique because they have the views and proximity that classic waterfront residences enjoy, but without the costly obligations. “Most of this is due to the presence of the beautiful Guemes Channel Trail installation, a public right-of-way which meanders along the property between the Water’s Edge lots and the shoreline itself,” he says.